ClerkHotel has incorporated the Status option on the Dashboard of your hotel, allowing you to have a view of the daily activity of your hotel. Access your hotel Status in your Clerk's hotel site. In the Dashboard tab, you will find 5 visualization options of your hotel activity: Status, One week, Two weeks, Three weeks, One month. The Status gives you useful information for your hotel management, as occupancy percentage, passengers and reservations, and total daily sales until noon in every currency you have previously configured. 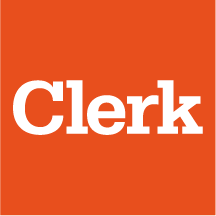 What is my Clerk account domain address?